8 Patients in San Francisco have developed some form of autoimmune disorder that causes their skin to blacken and slough off. Doctors think the condition is caused by poisoning from levamisole (a veterinary medication) that is added to cocaine. Doctors at San Francisco General Hospital have treated 8 patients with a condition that gave them fever, sores and lesions – and it also blackened their skin. These people had levamisole poisoning. Levamisole is a veterinary de-worming drug that is now a common additive to the cocaine sold in the US. It is not a medication approved for human consumption but it’s added to wholesale cocaine to increase the drug’s kick, and by diluting the cocaine, to increase profits. At San Francisco General, 90% of the 200 patients that recently tested positive for cocaine also tested positive for levamisole. Nationwide, the Centers for Disease Control and Prevention (CDC) reported last month that 69% of seized cocaine is now tainted with the veterinary drug. Doctors don’t yet understand why only a small percentage of those exposed to levamisole develop serious symptoms, but they suspect that these people may have a predisposition to autoimmune disorders. Dr Jonathon Graf at San Francisco General explained, saying, "Maybe these patients are predisposed to getting an autoimmune disease, but there's nothing that set them off before. Maybe the levamisole increases to a certain level and suddenly you start seeing cases." Although doctors don’t yet know why only some are affected by the levamisole in cocaine, they suspect that a lot more people are getting sick off the drug than they know of, “There are probably a lot of people not coming in to emergency rooms or doctors" said Dr. Graf. 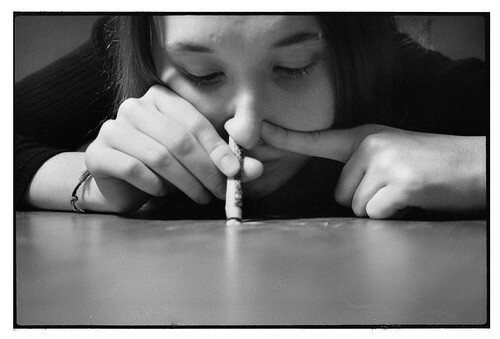 Based on the known cases, people smoking crack cocaine seem most at risk. Because of the illness risk associated with cocaine use, Dr. H Westley Clark, the Substance Abuse Treatment Director at SAMHSA said that people needed to know what chemicals were in the cocaine now circulating, saying, "We need people to know that you're not getting pure cocaine anymore. You're exposing yourself to the effects of an anti-parasite drug instead of cocaine. You're not getting high off of cocaine, you're getting sick off of levamisole."